Microsoft Office 2007 - Expired 10th October 2017 - Time to upgrade. 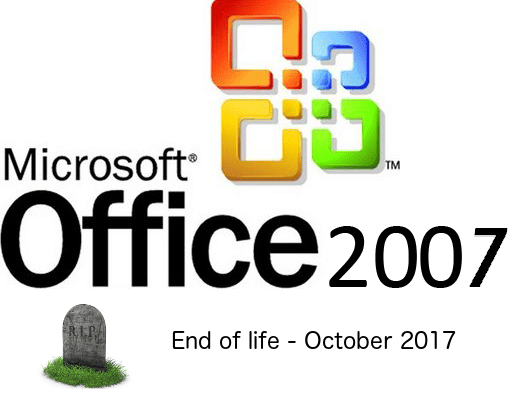 Support for Office 2007 ends in 10th October 2017. Office 2007 is now 10 years old and has been long superseded by Office 2010, Office 2011, Office 2013, Office 2016 and Office 2019/Office 365. It will no longer be supported from October 2017. How do I know if I’m running Office 2007?